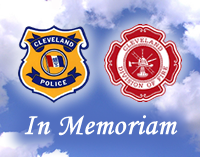 The Cleveland Department of Public Safety strives to meet its objectives by providing efficient and effective service, establishing public trust through the development of strong partnerships within the community, and by focusing on public safety and improving the quality of life in Cleveland neighborhoods. In addition to Police, Fire and Emergency Medical Services (EMS), the Department includes Animal Control Services; Corrections; the Offices of Professional Standards (OPS), Emergency Management (OEM), and Information Technology specific to Public Safety (OIT); Grant Management; the Medical Unit and Civilian Police Review Board; and additional Public Safety Administration functions to support the Department. The Public Safety Administration oversees all activities of the Department, develops policies and plans, coordinates personnel administration, assures fiscal responsibility, and acts as a liaison between the various divisions of Public Safety and City Council. The mission of the Department of Public Safety is to effectively provide a wide range of services which protect the life and property of the community.